Eli Evans has completed a fantastic weekend winning the Netier National Capital Rally in Canberra this afternoon. 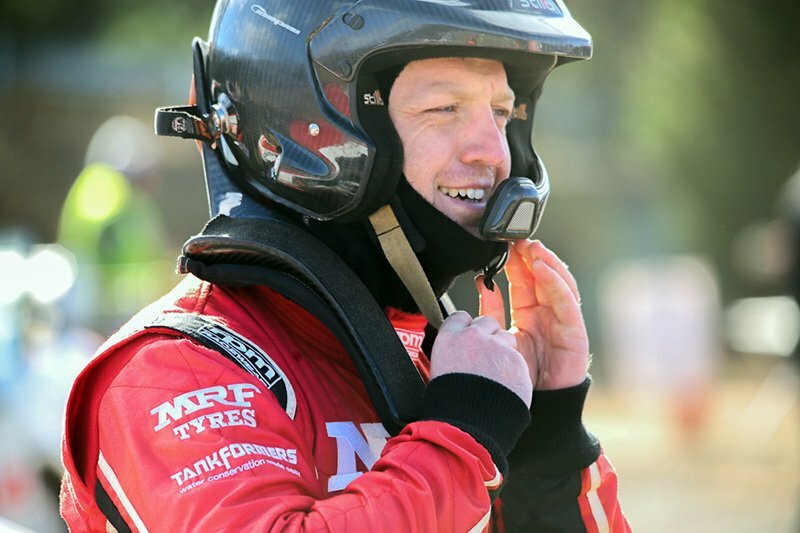 Evans led from start to finish to secure his second Australian Rally Championship win in a row, and extend his lead in the six round series. It was heartbreak, however, for Steve Glenney who fell to third on the rally’s last stage. After a trouble free Saturday and Sunday morning, Glenney blew a turbo in the afternoon’s first stage and started leaking time. All in all, the Subaru driver lost almost six minutes, dropping to third position behind Adrian Coppin. In a drive that was deserving of second, Glenney will have to settle for third as the Canberran conditions caused more havoc. Coppin was rewarded for his clean drive in what is his best ARC result since returning to the championship this season. His Optus Skoda Fabia R5 ran well all weekend to net a fine podium and a solid haul of points. Harry Bates finished in fifth overall behind APRC driver, Yuya Sumiyama, but will collect points for fourth place in the ARC. Bates will also take maximum points from Heat 2 as he was the fastest driver over the day’s stages. Yuya Sumiyama drove his Skoda Fabia R5 to the APRC win and fourth overall – fine reward for a consistent drive all weekend. Subaru’s Molly Taylor finished sixth overall to gain some vital championship points, and as the championship moves next Tasmania, she will be hoping for a strong showing in a state where she’s had experience before. The Toyota Vitz of Mike Young also his trouble and stopped in the final stage, leaving the Kiwi short of yet another APRC finish. In what was a promising weekend in the development of the car, Young will be disappointed not to have finished and received championship points for his efforts. The far from ideal start to his APRC campaign leaves him well behind his rivals leading into the next event in Malaysia. The next round of the Australian Rally Championship returns to Tasmania for the first time in almost a decade where the crews will tackle the Subaru Rally Tasmania, based out of Launceston on July 27-29.